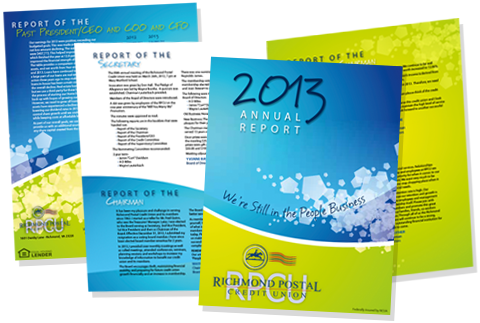 Why use CUAdvantage to produce your Annual Report? 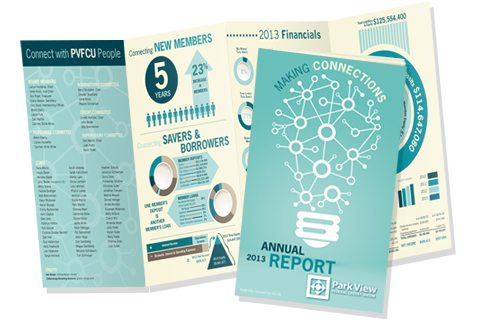 An annual report is a comprehensive report on the credit union's activities throughout the preceding year intended to provide member-owners with information as to its financial well-being. 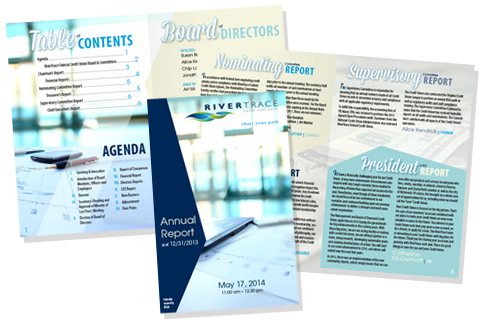 At CUAdvantage we take annual reports seriously and that means treating the sensitive information contained within them confidential. 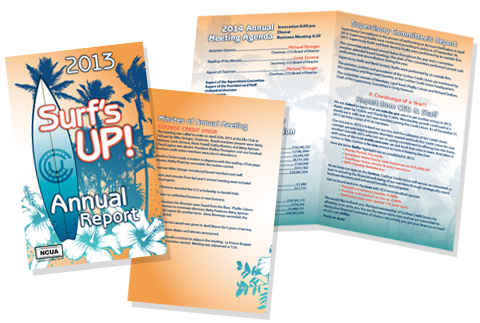 Serious doesn't have to mean boring! 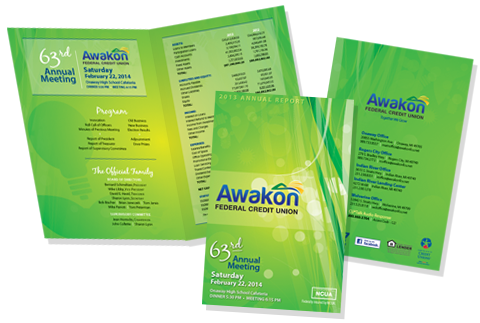 Our designs will present your financial information in an exciting way that is still clear and easy to understand. 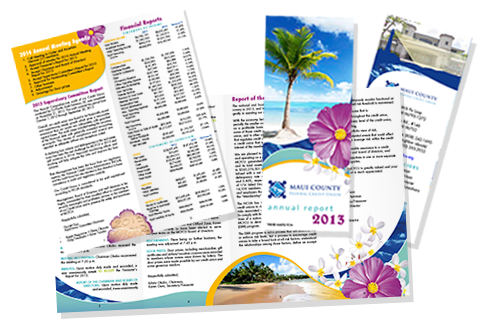 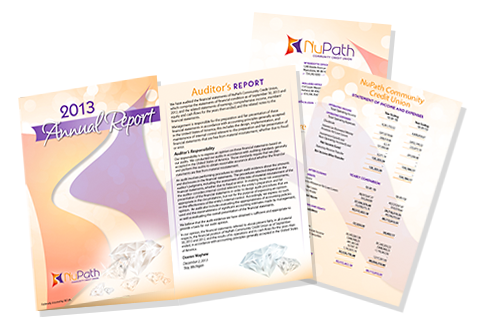 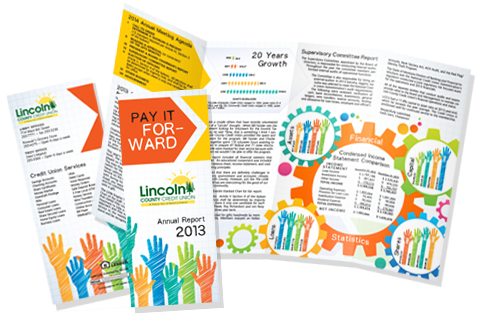 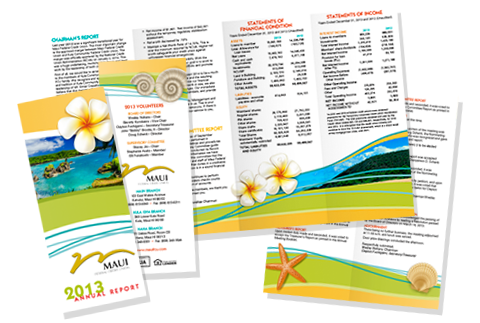 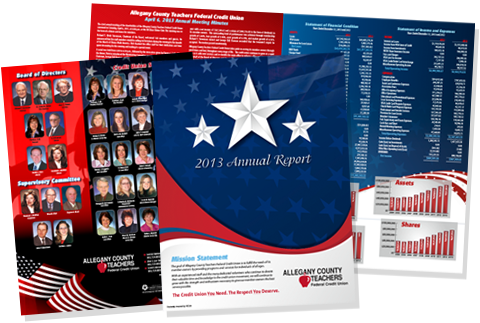 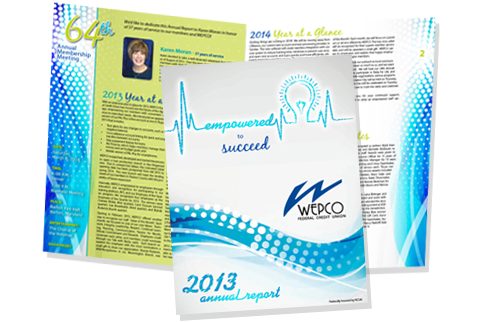 We can produce reports in a variety of sizes and layouts from a single fold brochure to a multi-page booklet.